Most historical fiction about small-town life involves quirky residents coping with social change. Volmer’s second novel fills the bill yet is hardly formulaic. It’s set in a picturesque hamlet sitting alongside the Mississippi (Reliance, a fictional place, is described as near Alton). In 1874, women’s suffrage is fiercely debated, and the Civil War’s horrors are a still-recent memory. While the plot sometimes meanders as slowly as the river on a calm day, the characters’ interactions and discoveries make it worth following to the end. When Rebecca Branch arrives in Reliance to marry Mr. Lyman Dryfus, a businessman whose Matrimonial Times ad she’d answered, she brings a surprise guest along: her 12-year-old daughter, Madelyn, who she says is her younger sister. Rebecca means to start her life over, “to be a lady,” and her illegitimate child doesn’t fit the plan. We see events unfold through the eyes of this feisty girl: her anger about her Mama’s betrayal; her awkwardness about her appearance, with a dark red birthmark covering half her face and body; and her desire for belonging. Maybe, sometime in the future, she might marry charming photographer William Stark. For now, she accepts Miss Rose Werner’s offer: to care for her ailing father, the town’s founder, in exchange for an education. Wealthy Miss Rose, a former actress, has a social agenda that attracts covert interest from women. In addition, one of Madelyn’s finds along the riverbank dredges up unpleasant secrets. Madelyn’s coming of age is enjoyable to observe. While she starts off wanting desperately to be beautiful, like her mother, she comes to learn that beauty has its own disadvantages. Even more satisfying is the gradual emergence of Rebecca’s true story, which Madelyn is too young to recognize for what it is. Each woman’s journey in this charming, deceptively quiet novel is one of depth and courage. 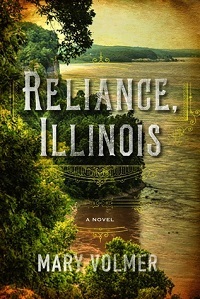 Reliance, Illinois was published by Soho in May ($27, hb, 354pp). 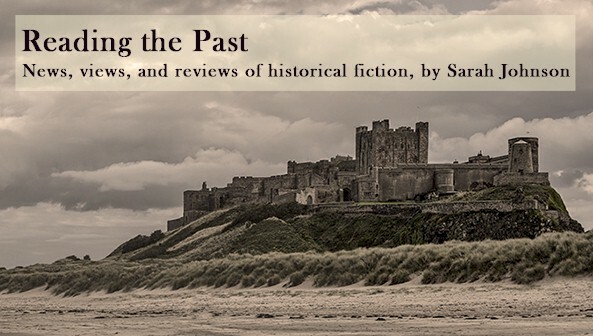 This review first appeared in August's Historical Novels Review. This sounds good. I like the pre suffragette era books.